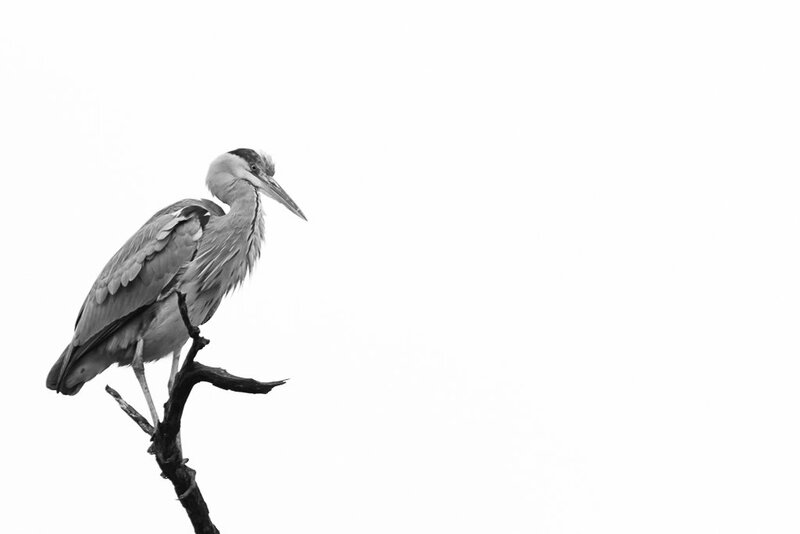 Heron shot against the light on an overcast day. Great detail. That eye. Have had one 'hunched' in the pond in the back garden all morning but I just can't get close with my 70-200. I love this! This is so clear and the b&w processing is a standout. Wonderful high key shot, great comp and detail! That is really beautiful. Very powerful B&W with nice tones and details. I love the composition with the brilliant use of negative space. Definitely fav!